Christmas is coming … and this month there’s lots of festive cheer with the Christmas Tree-O – a tree that needs no floor space, Nordic placemats and Robert the Red Nose Reindeer. You’ll also find more woodland-themed patterns as well as some traditional store cupboard cold remedies, the final part of my series on natural dyes and colours and hints and tips on working with waste canvas. 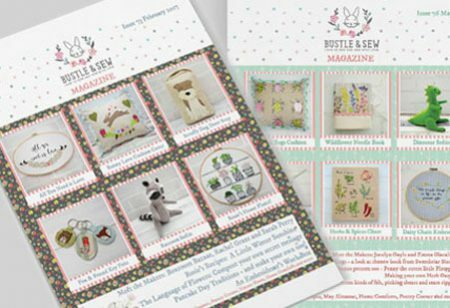 Following feedback from my lovely subscribers, all templates are now in a separate section at the back of the magazine – and are provided full size so there’s no need to worry about resizing them.